In today’s modern world, we lead hectic lifestyles and it can be difficult to look after our health and diet. It is paramount that we do not neglect our health as in the long run it is good health that matters most. Eating well may not necessarily provide our body with the complete nutrients hence multivitamins are essential in supplying most of them in the form of a super convenient supplement. Pharmaton® the market leader in multivitamins in Malaysia is a brand that delivers more than your daily vitamins and minerals. Pharmaton® provides the energy to fuel ones fast paced life and to ensure one is ready to face challenges head on. It improves bodily functions and assists in reducing tiredness. Pharmaton®’s Swiss formulation that is enhanced with standardized Ginseng Extract G115® and a combination of vitamins & minerals, delivers the nutrients enabling one to achieve more besides providing optimal health benefits. 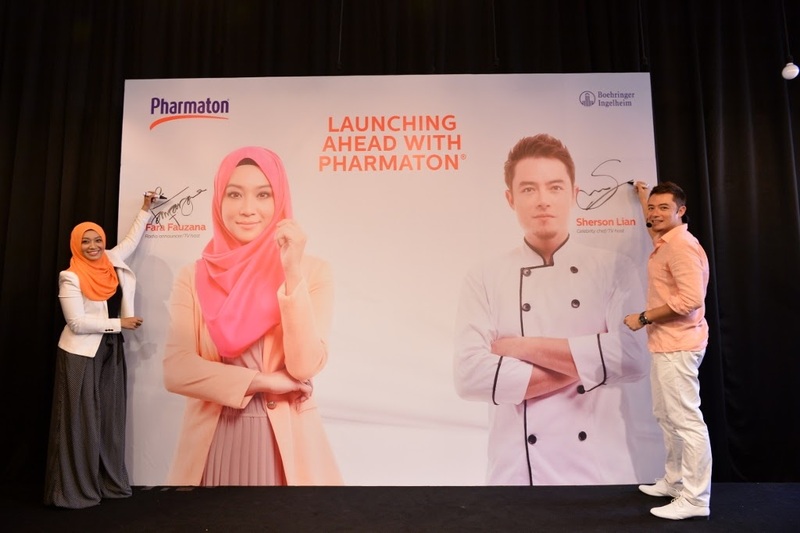 At a recent event at the Talent Lounge, Empire Damansara, members of the media were introduced to the two new Pharmaton Personalities, Fara Fauzana and Chef Sherson Lian! Ms. Carmenza Alarcon, Head of Consumer Healthcare Malaysia/Singapore, Boehringer Ingelheim (Malaysia) Sdn Bhd. 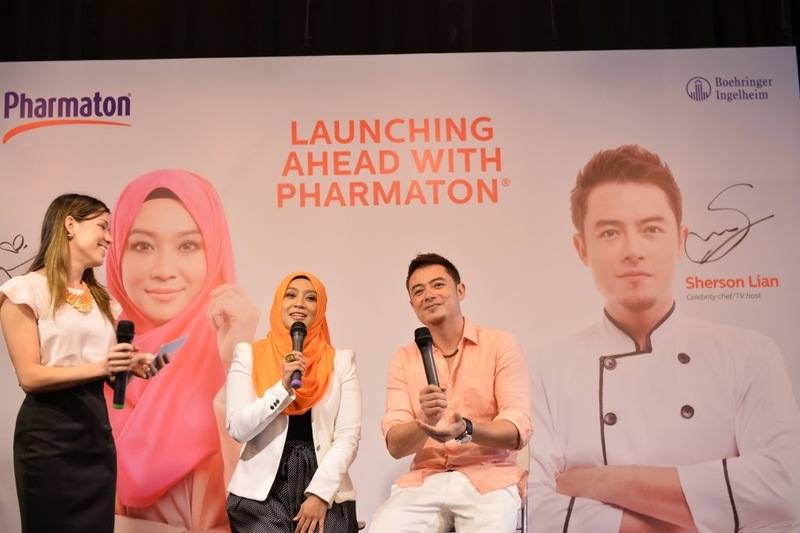 “We are delighted to be working with Fara and Sherson as the brand personalities for Pharmaton® as they both perfectly capture the essence of our product’s benefits with their active and energetic lifestyle. 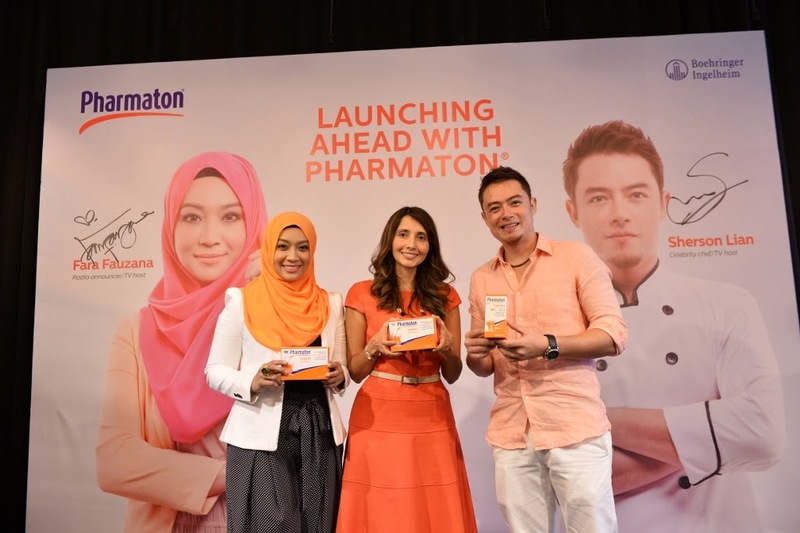 They are both dynamic, charismatic, successful and are the perfect embodiment of a Pharmaton® user who is sharp, focused and want to achieve nothing but the best in everything that matters to them,” said Ms. Carmenza Alarcon, Head of Consumer Healthcare Malaysia/Singapore, Boehringer Ingelheim (Malaysia) Sdn Bhd. In a chat session during the event, Fara and Sherson shared their personal tips on sustaining energy levels despite their daily challenges. Fara Fauzana or more fondly called by her fans FaFau, mentioned that her day starts very early. “Waking up at 4am every day and be at the office at 5.00am, at the break of dawn, requires a lot of discipline and energy but I am passionate about my job and do not mind doing it every day,” said Fara during the chat session. She added “You have to be hyped up at 6.00am when the show begins, be well-prepared and be engaging with my listeners”. With Pharmaton®, she is on top of her job and has the energy that can see her through till the end of the day including playing her favourite sports every night with friends. “As my friends can only play at 8.00pm, after their working hours, I have to accommodate to their schedule as it is something that matters to me,” said the newly appointed host of Muzik-Muzik a popular entertainment programme on TV3 who also works as a radio announcer besides acting in movies every now and then. Sherson on the other hand claims that he has to stay alert and physically fit due to his nature of work. “Cooking requires planning and precision. I need to have focus in everything that I do – from planning the menu to choosing the best and freshest ingredients. As chefs we also need to have the energy to be able to manage the challenges in the kitchen such as the heat, heavy utensils and being on our feet for long hours. 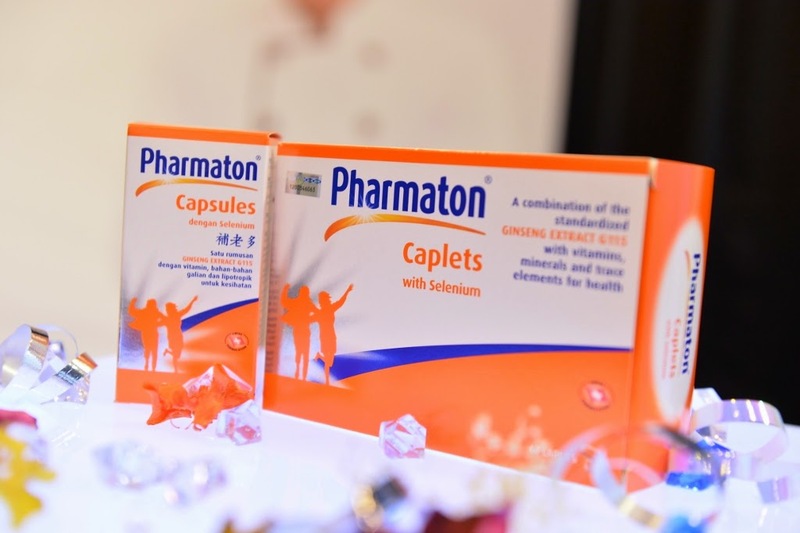 Besides that, as a host on food programmes, it is also important for me to have the alertness, to be able to memorise scripts as well as endure long shooting hours,” said Sherson when asked about why Pharmaton® is important in his daily life. In 2012 he set up a consultancy called Cookery Chemistry Solution that handles everything with food from restaurants, to food consultancy and shows. 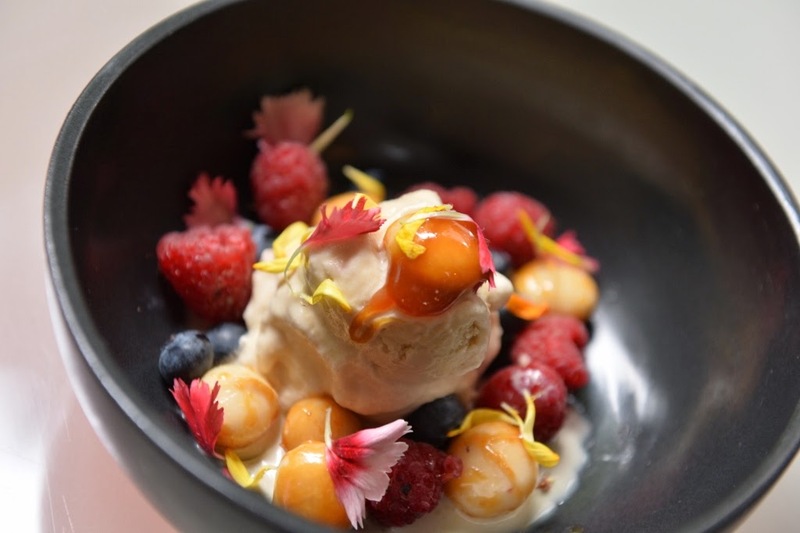 At the event, Sherson also showed off his culinary skills as he prepared a special dish created with the key ingredient, Ginseng found in Pharmaton®. The cooking session were so happening with all the tease from Fafau and Sherson! so you wanna know more about the Pharmaton Capsule? Ginseng has been valued for centuries for its strength-nourishing and rejuvenating powers that can provide optimal health benefits. Based on the earliest pharmacopoeia in Chinese history, ginseng is described as a plant tuber with various tonic and medicinal properties for the health of the human organs. Thus ginseng is termed as the “all healing” herb, with its botanical name “Panax” meaning “all healing” in Greek. 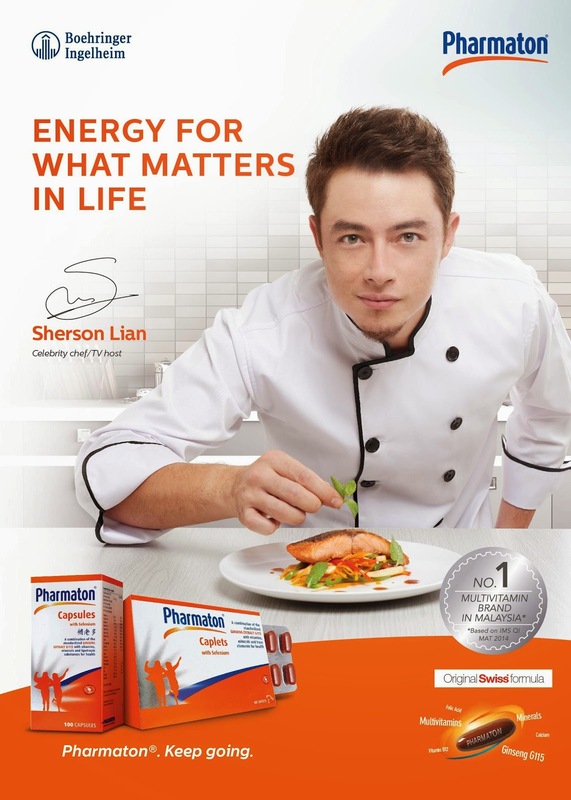 With a proven record of more than 50 years, Pharmaton® is the No.1 adult multivitamin brand in Malaysia. Its Swiss formulation, all-in-one supplement Capsules/Caplets contains the essential vitamins, minerals as well as the standardised Ginseng Extract G115®. The quality and safety of the standardized Ginseng Extract G115® have been intensively tested and proven with over 30 clinical studies. Through stringent standardization, Pharmaton® ensures that each capsule/ caplet contains accurate and equal quantity of ingredients. With the unique combination of Ginseng Extract G115® and essential multivitamins as well as minerals Pharmaton® is clinically proven to improve energy and decrease tiredness, just with 1 capsule daily. Pharmaton® Capsules is available in amber glass bottles of 30s and 100s. It is also offered in lightweight convenient blister packs of 10s, packed into boxes of 30s and 60s; available in all leading pharmacies nationwide. Lets live a healthy life peeps!